 The mission of Dream of Wild Health is to restore health and well-being in the Native community by recovering knowledge of and access to healthy Indigenous foods, medicines and lifeways. We'd love to hear from you! Find contact information for our Office and Farm, Mailing Address, Email, and more. Contact us for more information. Our nonprofit relies on donations to further carry out our mission. Donate to help support healthy and traditional food access in the Twin Cities Native American community. Learn more about or register for Dream of Wild Health's CSA, the Indigenous Food Share. Receive a weekly or bi-weekly box of fresh produce grown at our farm in Hugo, MN. We grow seeds and leaders. We organize year-round programming for Native American youth ages 8 to 18 to promote Native youth leadership.